Taetea or Dayi tea is a popular tea among the Chinese tea drinking community. Many tea drinkers will easily rattle out Dayi's famous and popular tea like 7542, 7572 and even list the many special Dayi editions like the recent Colourful peacock. 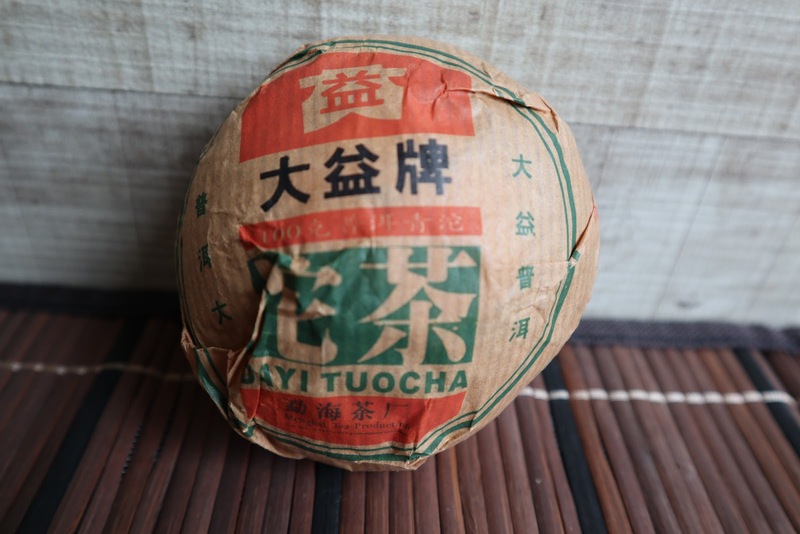 Dayi produces tuo shaped pu erh tea too. They are not as popular as the Xiaguan tuos but older Dayi tuos are now hard to find as most of these are in the hands of collectors. Newer tuos and even some Dayi teas post-2013 had a change in the processing of tea. 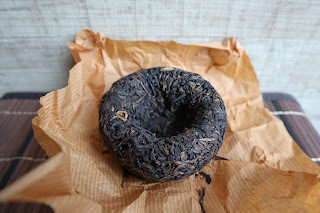 My Dayi collector friends in Malaysia and China call this new process as 'dark horse technology' and had stopped collecting these tea except for special Dayi editions. I shall devote a blog entry on this issue. Pix shows a 2005 Dayi 100g too. It is no surprise that the tea is composed of pu erh tea leaves harvested from the Menghai region as the factory is located in Menghai. 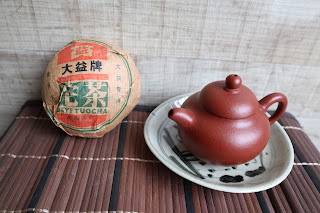 I enjoy tea from the Menghai region for its signature floral bitter sweet taste and the fragrant sweet aftertaste. This tea did not disappoint. Strong bitter herbal taste with a sweaty chi after downing a few infusions. Impressive - the 'kick' as good as banzhang in my opinion. This tea is hard to find. Will keep my eyes open when I go shopping for tea when I am overseas next month.